Employees of Chinese Daily News, Inc. (“CDN”), a Chinese-language newspaper, filed suit against CDN on behalf of current, former, and future CDN employees based in CDN’s San Francisco and Monterey Park (Los Angeles), California locations. Id. *1. Plaintiffs claimed violations of the FLSA, California’s Labor Code, and California’s Unfair Competition Law, Cal. Bus. & Prof. Code § 17200, alleging that employees were made to work in excess of eight hours per day and forty hours per week. Id. They further alleged that they were wrongfully denied overtime compensation, meal and rest breaks, accurate and itemized wage statements, and penalties for wages due but not promptly paid at termination. Id. The district court certified the FLSA claim as a collective action, and it certified the state-law claims as a class action under Rule 23(b)(2) and, alternatively, under Rule 23(b)(3). Id. After the court approved the form of class notice, putative class members were given a three-month period to opt in to the FLSA action and to opt out of the state-law claims. Id. *2. Forms were mailed to 187 individuals, and notice was posted and forms made available at CDN’s Monterey Park facility. Id. Plaintiffs received back about 155 opt-out forms, including 18 from individuals not on the original list of class members. Id. Plaintiffs filed a motion to invalidate the opt outs, for curative notice, and to restrict CDN’s communication with class members. Id. The court granted the motion, finding that “the opt out period was rife with instances of coercive conduct, including threats to employees’ jobs, termination of an employee supporting the litigation, the posting of signs urging individuals not to tear the company apart, and the abnormally high rate of opt outs.” Id. (citing Wang v. Chinese Daily News, Inc., 236 F.R.D. 485, 491 (C.D. Cal. 2006)). Both sides sought summary judgment on the question whether CDN’s reporters were exempt or non-exempt employees, and the court granted summary judgment to plaintiffs, holding that CDN’s reporters did not qualify for the “creative professional exemption.” Id. (citing Wang v. Chinese Daily News, Inc., 435 F. Supp. 2d 1042 (C.D. Cal. 2006)). The court held a 16-day jury trial, and the jury returned a special verdict, finding that, among other things, CDN did not provide reporters with meal breaks. Id. CDN also challenged the amount of damages awarded on all class claims, contending that the award was based on a class that was too large. Id. The court held a bench trial on the remaining issues of injunctive relief, penalties, prejudgment interest, and restitution pursuant to the § 17200 claim, concluding inter alia, that a cause of action under § 17200 based on violations of FLSA was not preempted. Id. The court denied an injunction after concluding that CDN had abandoned its unlawful business practices and had taken substantial steps toward compliance, and that plaintiffs’ remaining injuries could be remedied by money damages. Id. On appeal, CDN contended that the district court erred in permitting salespersons who had not opted in to the FLSA collective action to pursue claims for relief under § 17200 based on FLSA violations. Id. The district court entered judgment and granted plaintiffs’ motion for attorney’s fees. Id. *3. It also issued an order establishing a new 30-day window to opt out of the class action and appointing a special master to oversee the opt-out process and distribution of the award. Id. Out of 273 class members to whom notice was sent, 116 opted in, 61 opted out, and 96 did not respond. The evidence before the district court did not create a genuine issue of material fact as to the reporters’ status. We therefore affirm the district court’s determination on summary judgment that CDN’s reporters were non-exempt employees who were entitled to the protections of the FLSA and California law. CDN challenged the district court’s decision to certify the class under Rule 23(b)(2), arguing that claims for money damages predominated. Id. *6. The Ninth Circuit held that the district court did not abuse its discretion in certifying a Rule 23(b)(2) class. Id. *7. Nor did the district court abuse its discretion in holding that plaintiffs’ claims for monetary relief did not, in fact, predominate. There were substantial claims for injunctive relief in this case. Plaintiffs sought to enjoin a longstanding set of employment policies and sought monetary relief for current and past employees allegedly injured by those policies. Because the claims for monetary and injunctive relief were closely related, the request for monetary relief neither “introduce[d] new and significant legal and factual issues,” nor raised particular due process or manageability concerns. See Dukes, 603 F.3d at 617, 621-22. CDN’s current employees–who constitute the vast majority of the class–stood to benefit significantly from an award of injunctive relief. As the district court pointed out in its certification ruling,”[d]efendant’s future compliance with the law may be more valuable to the class than the present claims for back pay.” Wang, 231 F.R.D. at 612. CDN objected to the district court’s decision to invalidate the opt outs, to delay holding a second opt-out process until after the trial, and to uphold fully rather than reduce the damages award to account for those who had opted out. Id. *8. With respect to the invalidation of the opt outs, the district court found that “the opt out period was rife with instances of coercive conduct, including threats to employees’ jobs, termination of an employee supporting the litigation, the posting of signs urging individuals not to tear the company apart, and the abnormally high rate of opt outs.” Id. *9. (quoting Wang, 236 F.R.D. at 491). The Ninth Circuit held that “[a]lthough CDN disputes whether some of this conduct took place, the district court’s factual findings were supported by the evidence before it and were not clearly erroneous. Based on these findings, the district court did not abuse its discretion in invalidating the opt outs and in restricting CDN’s ability to communicate with class members.” Id. When, as here, there is a need to regulate the notice and opt-out processes to maintain the integrity of the action in the face of a party’s coercive activity, a district court does not abuse its discretion in delaying the process substantially–even, if necessary, until after the trial on the merits. We reiterate that a district court’s discretion to manage the notice and opt-out processes is particularly broad in a Rule 23(b)(1) or (b)(2) class action where notice and the opportunity to opt out are not mandatory. The district court in this case determined that holding another opt-out election immediately would not only delay the trial, but also would not avoid the coercion that had tainted the initial process. The court made these determinations only after it made specific findings regarding CDN’s coercive behavior. We hold that in these circumstances the district court acted within its discretion to regulate the opt-out process to diminish the effects of the prior coercion and to avoid further coercion. CDN argued that substantial evidence did not support the finding that CDN did not provide reporters with meal breaks. Id. *10. The Court noted the pair of cases currently in front of the California Supreme Court that will decide what it means to “provide” a meal break. Brinkley v. Pub. Storage, Inc., 167 Cal. App. 4th 1278, 1290 (2008), review granted, 198 P.3d 1087 (Cal. Jan. 14, 2009); Brinker Rest. Corp. v. Super. Ct., 165 Cal. App. 4th 25 (2008), review granted, 196 P.2d 216 (Cal. Oct. 22, 2008). But the court concluded that even when it applied the more stringent standard that there was substantial evidence supporting the verdict. Even if the California Supreme Court interprets California law to place only minimal obligations on employers, the evidence presented to the jury was sufficient to support a finding that CDN did not “provide” reporters with meal breaks. 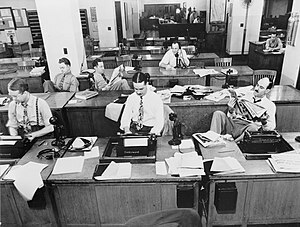 The evidence showed that reporters did not have time to take meal breaks because they worked long, harried hours and faced tight deadlines. There was testimony that reporters were required to carry pagers all the time and be on call from morning until night without ever getting a sustained off-duty period. The evidence showed that reporters did not keep time cards and that pay stubs did not reflect time actually worked. Several reporters also testified that they could rarely take uninterrupted 30 minute breaks. CDN never told reporters that meal breaks were available and never told them to keep track of meal breaks on a time card. In short, reporters could not take daily, uninterrupted 30 minute breaks regardless of whether they desired to do so. Under either possible reading of California Labor Code § 512(a), CDN did not “provide” its reporters with meal breaks. Substantial evidence therefore supports the jury’s verdict. Plaintiffs’ § 17200 claim “borrowed” FLSA as the substantive violation. Id. CDN argued that such a claim is “logically impossible,” “renders the federal scheme meaningless,” and allows “a federal tail to wag what is in substance a state dog.” Id. The Ninth Circuit disagree, holding that the “FLSA does not preempt a state-law § 17200 claim that ‘borrows’ its substantive standard from FLSA.” Id. Circuit Judge William A. Fletcher wrote the opinion for the court. Circuit Judge Stephen S. Trott and Disrict Judge Charles R. Breyer (sitting by designation) concurred. Appeal was from the United States District Court for the Central District of California, Hon. Consuelo B. Marshall. D.C. No. 2:04-cv-01498-CBM-JWJ. Della Bahan, Berkeley, CA, Christy Virginia Keeny, Cordelia Dai, Randy Renick, Hadsell Stormer Keeny Richardson, Pasadena, CA, for the appellees. Michael M. Berger, Benjamin G. Shatz, Manatt, Phelps & Phillips, Los Angeles, CA, for the appellant.